Hosted by the BBC, at New Broadcasting House. Celebrate the art of diverse story telling, with guests from BBC News, Vogue International, gal-dem, Dialogue Books and many more. 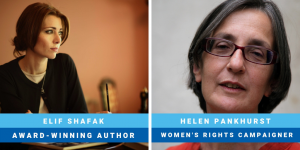 Day one of the Congress includes a keynote speech by the award winning author Elif Shafak & women’s rights activist Dr Helen Pankhurst. Panels will cover issues from frontline journalism and coping with trauma to increasing diversity and how to engage young audiences. Plus, you’ll have the opportunity to try out a unique virtual reality experience produced by the BBC on the suffragettes and their fight to win the vote for women. 13:00-14:00 Lunch will be provided. Plus come and try Make Noise, a unique virtual reality experience created by the BBC VR Hub and Anagram, using the power of your voice to smash through barriers faced by the suffragettes. Make Noise recently won the Bisato d’Oro award at the Venice Film Festival. 15:45-16:45 Panel: Young people vs “old media”: Does traditional storytelling work for young audiences? Hosted by the Department of Journalism at City, University of London. Day two will feature both scholarly and professional contributions from across journalism academia and industry. Speakers will tackle issues related to understanding how and why journalism as a profession is changing. They will explore gender equality in the newsrooms and on screen, participatory journalism, literary journalism and how long-read formats help promote better journalism. Discussion panels on the future of freedom of speech in Europe and reporting the Middle East from within will tackle the challenges that face journalists operating in different political, cultural and economic contexts. Please note that lunch will not be provided on this day. There will be a drinks reception at the end of the day, sponsored by the Taiwanese Embassy. In the evening there will be a screening of the film Invisible Battalion, charting the stories of Ukrainian women participating in the war. The screening will take place at the Frontline Club from 19:00. Discounted tickets will soon be available to Congress delegates directly from the Frontline Club. Reporting The Middle East: The other stories Teaching Future Journalists – are we doing it right? Lunch – not provided. Delegates can purchase lunch from the university canteen at roughly £5 for hot food or there are a range of cafés available nearby. Break – Tea/coffee/water will be provided. Hosted by Google at its new King’s Cross campus. Day three of the Congress focuses on how digital media is changing the way we tell stories and what digital audiences want. We’ll look at what the opportunities are and how to deal with some of the challenges digital media brings. There will be workshops throughout the day on virtual reality technologies and Google’s new investigative and verification tools. And we’ll explore how new technologies can help journalists tell stories differently, with a particular focus on innovation through workshops on virtual reality and investigative/verification tools. Lunch will be provided. Virtual Reality demonstrations by Immersive Shooter VR film experience: Is Anna OK? 16:00-17:30 Plenary: What does the digital future hold? Obstacles and Opportunities. Day 3 of the Congress will take place at Google News Initiative, King’s Cross. When you arrive at the Google building, please make your way to Hunky Dory to register at 09:00. Google and AMMPE volunteers will be on hand to register you and give you a badge, which must be worn and remain visible at all times. 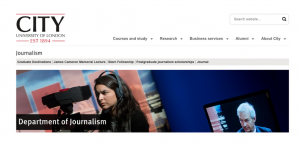 Hosted by the University of Kent’s Centre for Journalism, at the Medway Campus. On day four we will investigate how to build a truly inclusive media by adding voices from different socio-economic backgrounds, why we should encourage collaborations with local media and more. 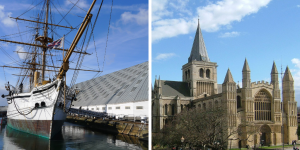 There will also be a tour of Medway, Rochester, home and inspiration to the author and journalist Charles Dickens. Lunch will be provided on the day and there will be a drinks reception at the end of the day. Athena SWAN is an accreditation awarded to Higher Education and Research institutes in UK & Ireland in recognition of their commitment to advancing gender equality. The University of Kent holds a Bronze level award which means we have carried out a wide-ranging gender analysis of our staff profile, recruitment & career development processes, organisational practices & culture & have committed to tackling the issues identified. The Athena SWAN team is delighted to support the Congress and look forward to a day of collaboration, learning and sharing.